Not long ago I had the privilege of standing in front of the Wittenberg Castle in Germany, where 500 years ago this month Martin Luther began a mighty Reformation by nailing his earthshaking document to the door of this church. The original doors no longer stand, but the Reformation that started on October 31, 1517, is alive today, half a millennium later. Sola scriptura: the Bible alone is the sole rule of faith and practice. Human beings are saved by faith, not by works. So strong was Martin Luther’s belief in the importance of Scripture—and the necessity of having it accessible to everyone—that in less than 11 weeks, while hidden away inside Wartburg Castle, he translated the New Testament into the common German language. The language formulation he used paved the way for the commonly used version of today’s German language Bible. As good as prima scriptura may sound, it goes against the principles of the Reformation because it does not always place God’s Word as the final authority, above tradition or church teachings. “As it is impossible for those who do not accept Christ’s divinity to understand the purpose of His incarnation, it is also impossible for those who see the Bible merely as a human book to understand its message, however careful and rigorous their methods. When Luther took his famous stand at the Diet of Worms, he based his actions and informed his personal conscience by Scripture, not on tradition, culture, or personal opinion. 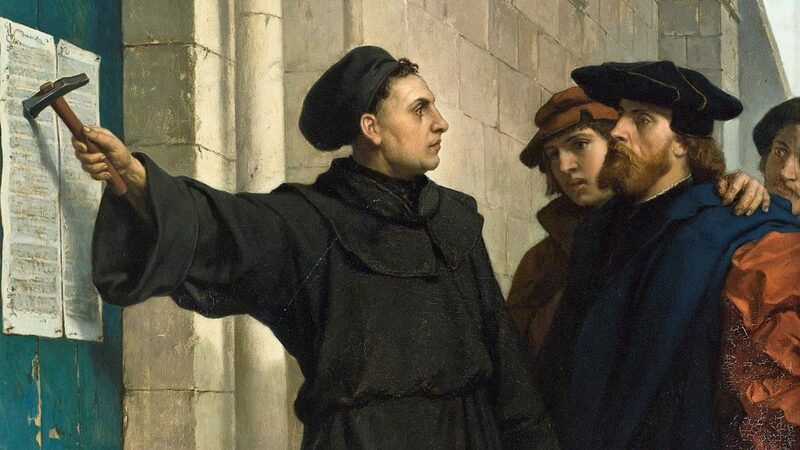 As Luther was urged to acquiesce to the demands of church and state regardless of what the Bible said, he made it abundantly clear that Scripture ruled his conscience. Martin Luther allowed Scripture to inform his conscience and his actions. So must we. The essence of the Reformation is a personal relationship with God through His Word, and a living faith. The Reformation did not begin and end with Martin Luther. “It is to be continued to the close of this world’s history,”9 wrote Ellen White. Scripture was central in the Reformation, and it needs to be central in our lives today. We need to be heralds of sola scriptura (Scripture alone), sola fide (faith alone), sola gratia (grace alone), solus Christus (Christ alone), and soli Deo gloria (to the glory of God alone). 1 “The 95 Theses,” at www.luther.de/en/95thesen.html. 2 See “What the Bible and Lutherans Teach,” at wels.net/about-wels/what-we-believe/. 3Ellen G. White, The Great Controversy (Mountain View, Calif.: Pacific Press Pub. Asn., 1911), p. 126. 4 See “Prima Scriptura, Sola Scriptura and Sola Ecclesia,” at www.orthodoxevangelical.com/2014/02/26/prima-scriptura-sola-scriptura-and-sola-ecclesia/. 5 E. G. White, p. 126. 9 E. G. White, p. 148. Ted N. C. Wilson is president of the Seventh-day Adventist Church. Additional articles and commentaries are available from the president’s office on Twitter: @pastortedwilson and on Facebook: @PastorTedWilson.